Langkat, Indonesia: Palm oil prices might be going through the roof and making investors and businessmen rich, but the soaring prices have not improved the lot of pickers and locals working on the fringes of the palm oil industry. On the island of Sumatra, one of the main palm oil-growing islands in Indonesia, the world’s second largest producer after Malaysia, 52-year-old Minah salvages unspoilt fruit from partly rotten palm branch that have fallen to the ground. The Indonesian mother of eight ekes out a living on a state-run palm oil plantation near her house by picking through fallen branches to extract fruit, which she sells for 600 rupiah per kg (Rs2.40) to a middleman. “The plantation doesn’t mind as long as I don’t touch bunches still on trees," said Minah, as flies and other insects perch on her hands, stained by the sticky brown juice that oozes from the fruit. The sales net her around $1-2 per day (Rs41.6-83.2). “And people say palm oil is expensive," she remarks. 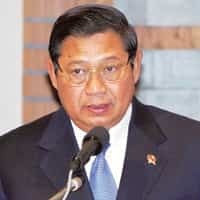 Poverty levels remain high in the country despite a pledge by President Susilo Bambang Yudhoyono to tackle widespread poverty, made worse by chronic unemployment and underemployment. In Langkat, about 50km west of North Sumatra’s provincial capital of Medan, hundreds of people rely on palm oil—the world’s second most popular edible oil after soya oil. They work as illegal fruit collectors such as Minah, small holders, drivers, middlemen and labourers for palm oil refiners. In Malaysia, palm oil futures trading on the Bursa Malaysia Derivatives Exchange in Kuala Lumpur—the benchmark for global prices—hit a historic high of 2,764 ringgit (Rs32,892 then) a tonne in early June. The price has since dropped, but is still within sight of the highs, helped by soaring demand for palm oil in manufactured foods as well as for biodiesel made from palm oil. Obtained by crushing palm oil fruit, the reddish-brown oil is also used in cookies, toothpaste and ice cream. Indonesia is set to overtake Malaysia as the world’s top producer this year with output seen at 17.4 million tonnes (mt), up from 15.9mt in 2006. But back in Sumatra, many farmers struggle to make ends meet while revenue at big plantation firms such as PT Astra Agro Lestari Tbk has doubled on sky-high palm oil prices. The plantation firms are enjoying a boom in commodity prices driven by strong demand from countries such as India and China, and demand from the biofuel sector. The biodiesel frenzy has also sparked mergers and takeovers across the plantation sectors in Asia. Big firms with their financial muscle are able to expand their plantations and hire people to work for them while small holders are left behind. With little support from the government, some palm oil farmers have to cope with high prices of fertilizers and a lack of funds to maintain their plantations, and increase output by replacing old, unproductive trees. Jakarta’s recent decision to raise the export tax on crude palm oil to 6.5% from 1.5% is another blow to the farmers as it has caused prices to drop to around 1,000 rupiah a kg from 1,200 rupiah. “I can’t rely on palm oil alone to survive, especially because the price of fertilizer is very high," said Juanda Peranginanginthe, 25, a farmer who cultivates 70 palm oil trees inherited from his father. Farmers bear the brunt of the increased excise tax because refiners now refuse to buy fresh fruit bunches without a discount, said Asmar Arsjad, head of the Indonesian Palm Oil Farmers Association, which represents 5 million smallholders. Indonesia has 6.07 million hectares of land planted with palm oil, of which 45% is owned by private firms. Smallholders own 43% of the country’s palm oil plantations, while state plantation firms own the rest. Indonesia raised the export tax for crude palm oil and its by-products to stabilize domestic cooking oil prices, which surged due to global palm oil price hikes and dealt a blow to millions of poor Indonesians who rely on the oil as a staple food.